Despite the accessibility and affordability of good design, it still seems to be one of the key things that small business owners overlook when assembling a marketing plan. Think you can skimp on design? Think again. We’re living in an age where good design is no longer a luxury—it’s everywhere. If you’re a startup, you’re also cultivating an image during a time when brand designs turn into iconic symbols. That’s why one of the most important elements for a small business competing in a land of box stores and too much information is to invest in great design. Good design is no longer a privilege strictly reserved for those who can afford it—it’s a given. Take a mega-brand like Target. To huge success, the discount retailer has successfully amassed an arsenal of designer collaborations for its clothing, accessories, house wares and more. Anna Sui, Zac Posen, Jean Paul Gaultier, Thakoon and other luxury brand designers have all lent a creative hand to the retailer. Leveraging good design into offering upscale goods at affordable prices has become a lifeline for the brand. As long as a product is in their price range, consumers will choose a good-looking design over a mediocre one, nine times out of ten. And they’ll feel liberated for it. The availability and affordability of great looking and functional products has leveled the playing field for market share. IKEA has been selling fashion-forward furniture at an affordable price-point for decades and has built a multi-million dollar empire on bringing good design to the masses. Great design at an affordable price has now reached a critical mass. If you are an established business and already successfully selling a product or a service, your job just got a little bit harder. If you’re a small business or brand trying to compete in a world saturated with great marketing and short attention spans, you better think design first. Good design is your gateway to brand awareness. One of the signs of a strong brand is a great design. Although the iPod is tucked away under Apple’s multi-billion dollar empire, it has transcended its maker and become a brand in itself. Chances are, you know exactly what I’m talking about. 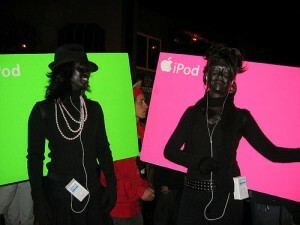 When you think iPod, you’re envisioning a clean looking, modern silhouette dancing against a smash of eye-popping color. You’re also visualizing a simple, white, extremely user-friendly device that changed media—and culture—as we know it. Building a company behind a design is key for a small business. Here’s a quick fact—Apple launched its first iPod model during the short recession in 2001 with little guarantee. It was a hit… and without coincidence, it was also the most modern, cleanly designed and instantly recognizable music player on the market. The iPod is a perfect example of a design that built itself and then its own brand. Apple shot first, and asked questions later. Let’s not get ahead of ourselves. You may not have the intention of revolutionizing the music industry with your product, but a consciously created design will help your small business appear bigger than it is. Once you build that presence, your business may not be so small anymore. Consumers like being able to count on certain things. They like knowing that when they call a carpet cleaner and make an appointment, someone is going to show up. They like believing when they buy a juicer online, it’s going to work. So how do you get your clients to believe in your small brand or startup, and begin trusting your product or service? Trust begins with branding, and successful branding hinges on good design. This is especially important for small businesses, which are competing with huge companies who have had brand trust for years. In The Brand Gap, a guide to successful branding by Marty Neumeier, the author points to design as the ultimate message that incites trust. “Trust creation is the fundamental goal of brand design,” says Neumeier. 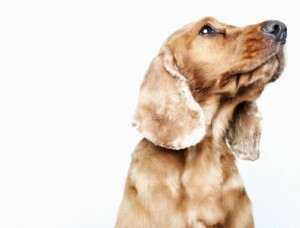 He argues a brand is a person’s gut feeling about a product, service, or company. We humans are all emotional, intuitive beings despite our best efforts to be rational. What this says about a brand design is that it has to create an emotionally based reaction—a positive one—and not just serve as a throwaway image for your company or product. This is where great design comes into play. Like your brand should. After all, trust is an emotion—a gut feeling. So is loyalty. Everything you want from a prospective customer is based on emotion, so you’ve got to use the right channel to reach them. The design of your website, logo, or packaging should be more than just functional. If you’re a trustworthy small business, your design should be, too. This entry was posted in Why Design Matters on September 6, 2013 by admin.